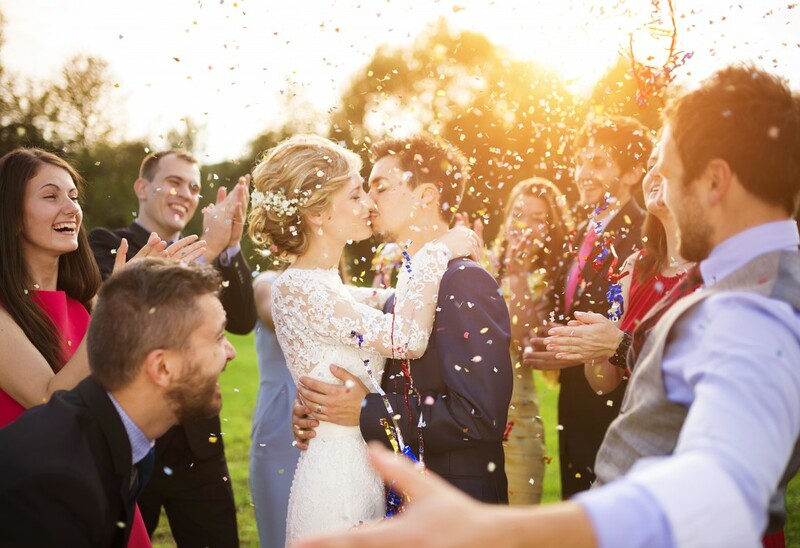 Wedding season is well underway and many couples are embracing the fun outdoorsy spirit of summer festivals on their big day. 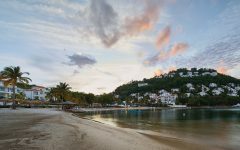 Festival-themed weddings are popular for their relaxed feel, whimsical decorations and, of course, wonderful live music and dancing. 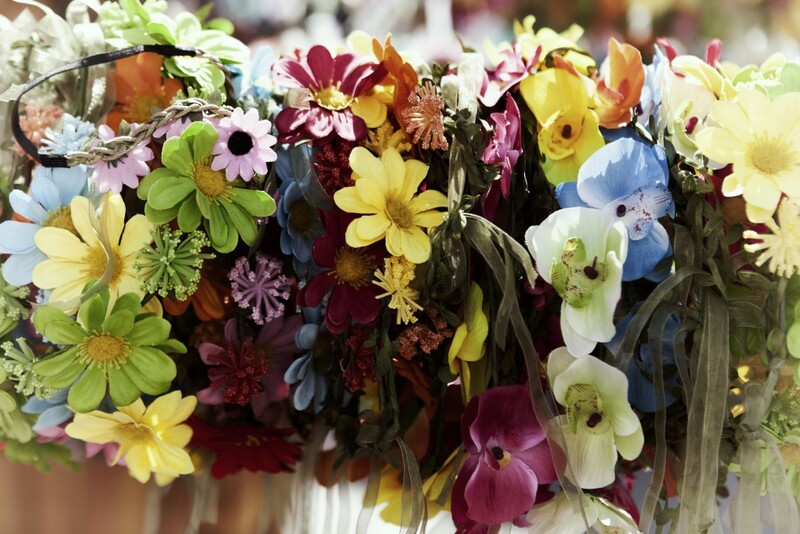 When planning a wedding with a festival theme, there’s so much scope for creativity. 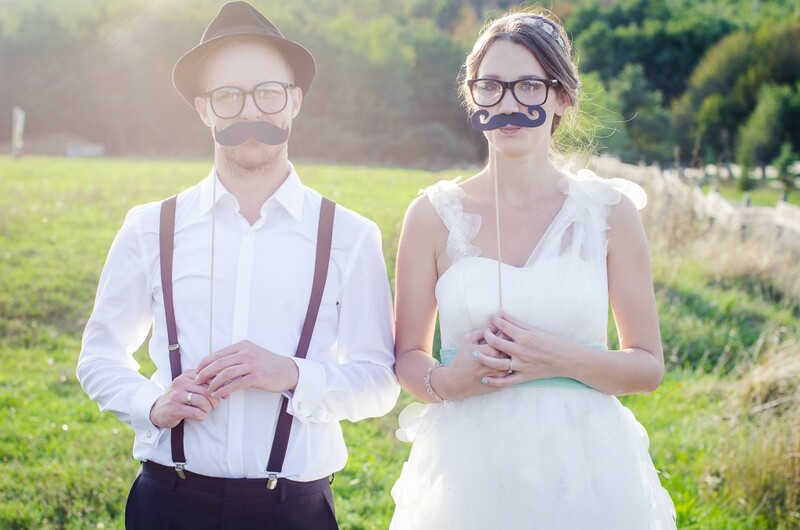 We’ve pulled together some of our favourite inventive ideas to inspire your special day. 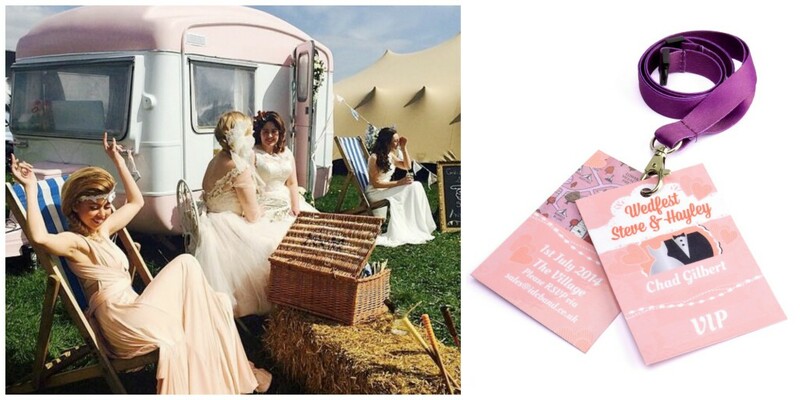 There are so many ways you can incorporate fun accessories into your wedding, from having a festival-themed dress code or using accessories as part of your wedding favours, invites or seating plans. Giving away festival-themed accessories sets a chilled out vibe on what can be a stressful day, and also encourages guests to take great selfies for your wedding album. 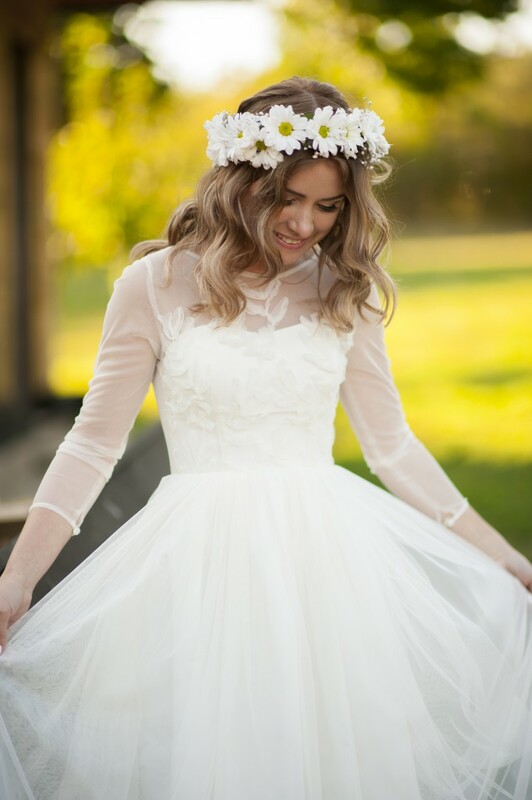 If your bridesmaids are game, why not spice up their outfits with flower crowns, floral wellies, or even Woodstock-inspired bridesmaids dresses? 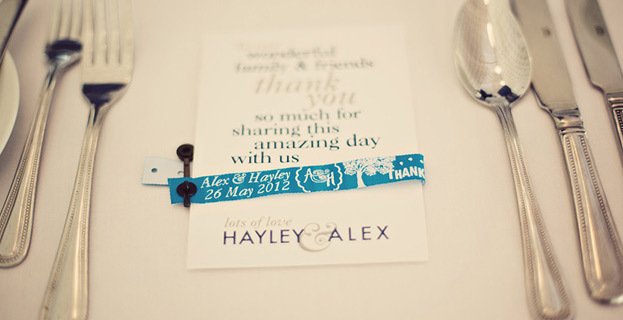 You can even go full on with your festival theme and provide colourful fabric wristbands for all of your guests, designing your own personalised bands as wedding favours. With hundreds of colours and designs available, they will fit with your colour scheme and make cute keepsakes for your guests. 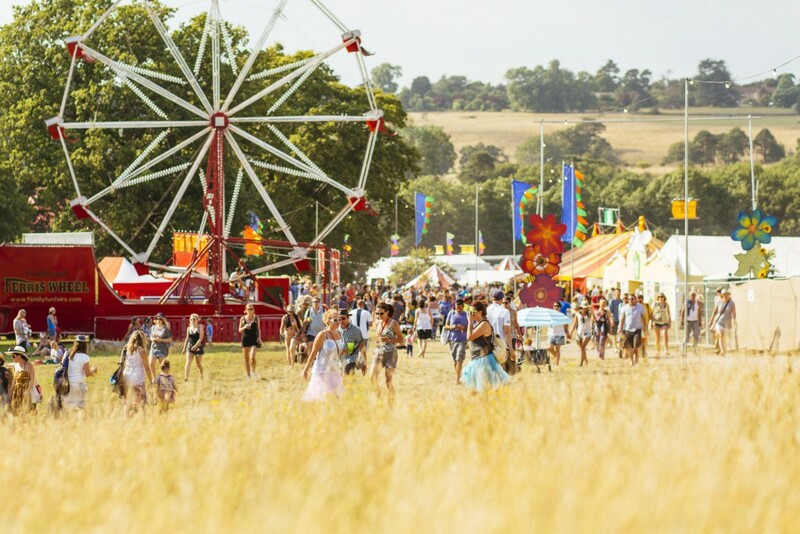 One of the magical things about a festival theme is that it’s much less restrictive than a traditional wedding, both in terms of colours and cost. 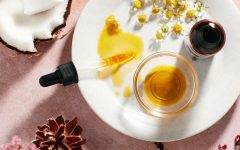 Colour-wise, your palate can be as bright and varied as you want. Be inspired by the lush green fields and clear blue skies of a perfect summer day. 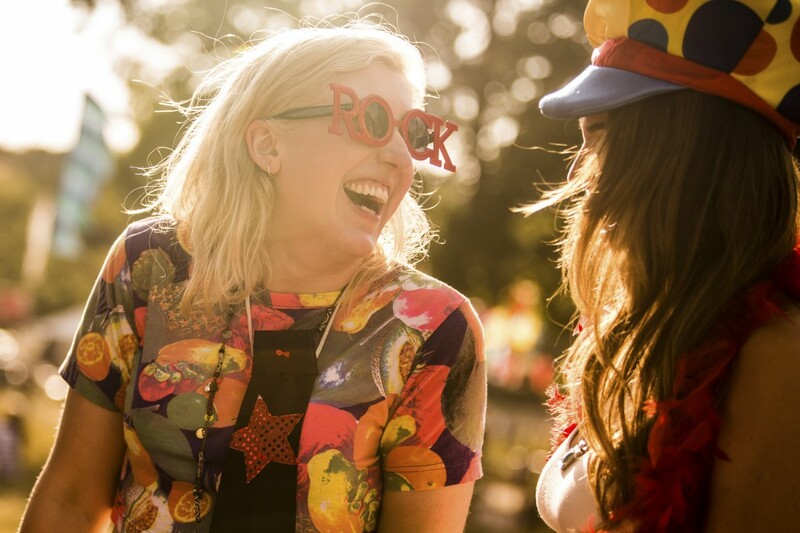 Or look to the bright outfits and wristbands of festivals like Glastonbury as inspiration. While it’s possible to spend big on your decorations, the festival theme inspires some DIY decoration ideas. Whether you’re handy with a paintbrush yourself or can call on artistic friends and family members, creating a pretty wedding sign like this one makes your wedding Instagram-ready, and also helps your guests get from dinner to the dance floor! 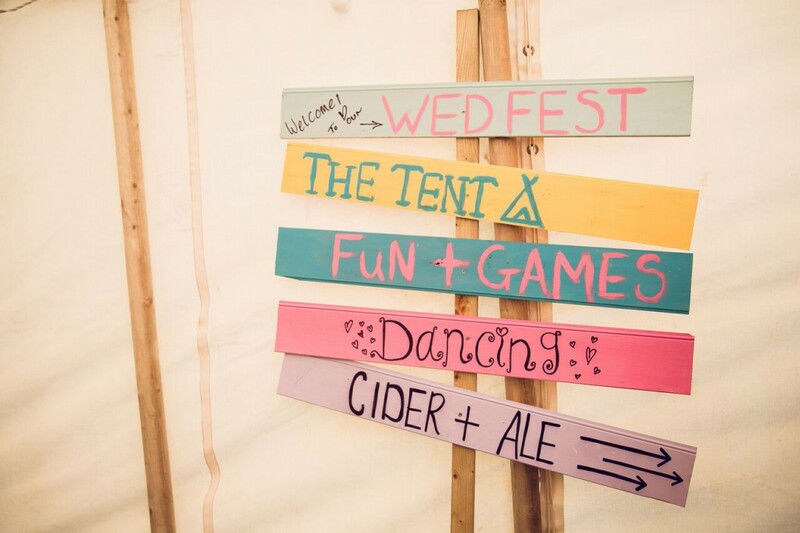 Cute picture displays add to the whimsy of a festival-themed wedding. 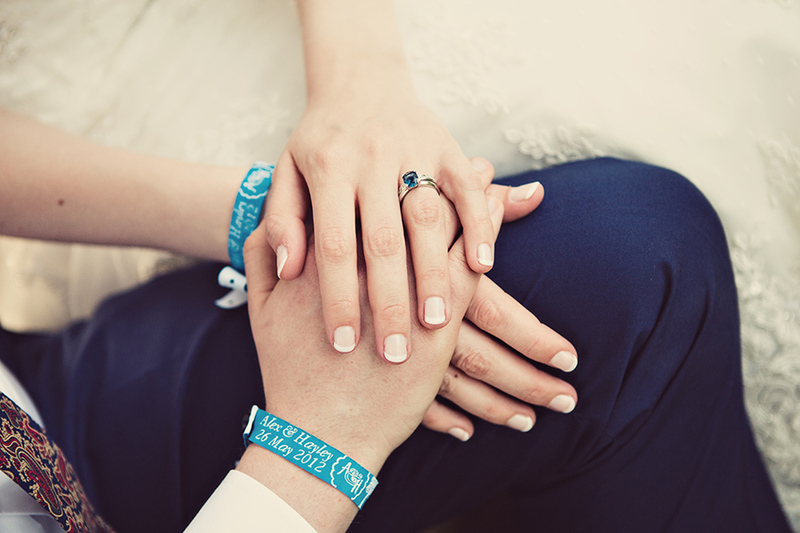 You could display happy couple photos, inspirational quotes around the theme of love and marriage, or even lyrics to songs that are important to the two of you to complement the festival theme. Nothing says festival chic like some well-placed hippy accents. 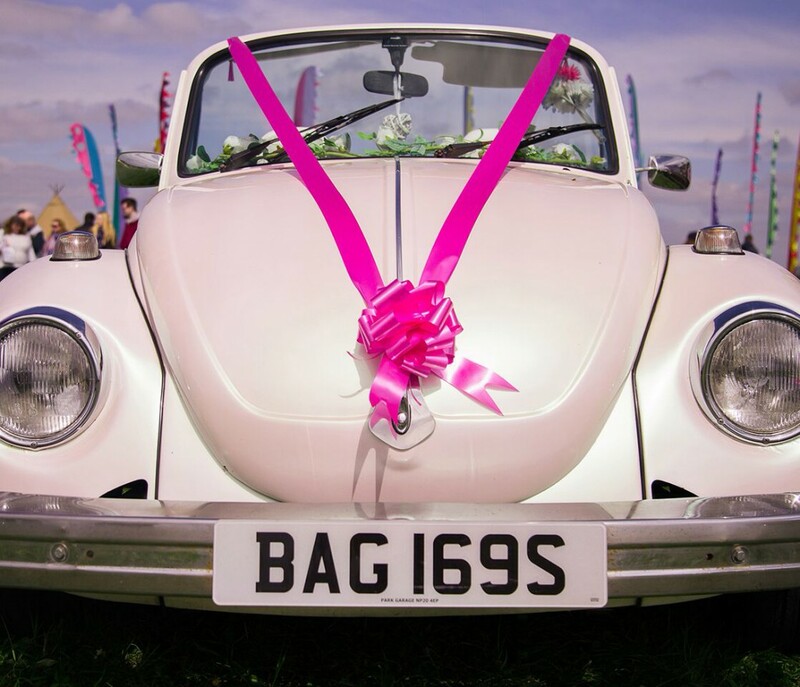 There are so many fun ways to add a playful homage to the festival season’s hippy roots; we love the idea of using a vintage car like this one. Flowers at weddings are nothing new, but the festival theme really lends itself to the addition of fresh flowers in every conceivable place. Whether you add elegant wreathes, profusions of wild flowers as table decorations or simply tuck blossoms into every corner, flowers will bring vibrant pops of colour to your wedding. Leave the stuffy formality of traditional wedding cuisine behind and get creative with your festival theme! Many couples don’t want to impose formal dining or seating plans on their guests any more, and this theme encourages a break with tradition. 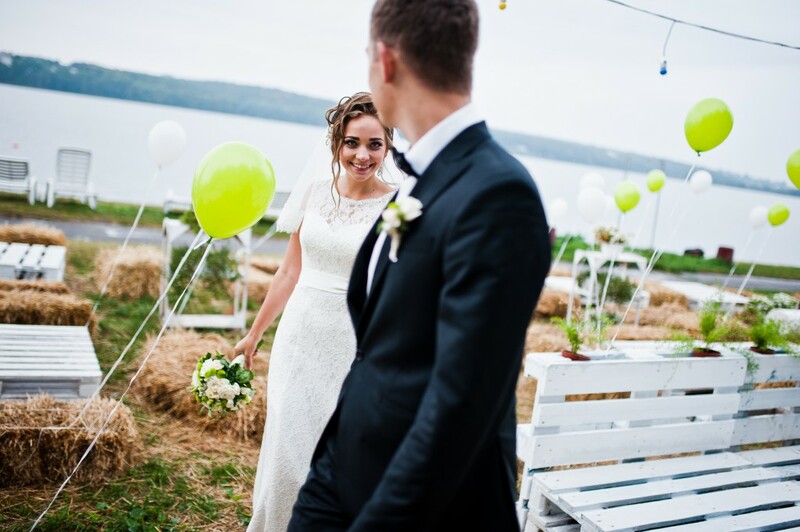 Bring the rustic charm of the countryside to your wedding by placing hay bales around your venue. Not only are they cheap and disposable, but they also make excellent seats and side tables. 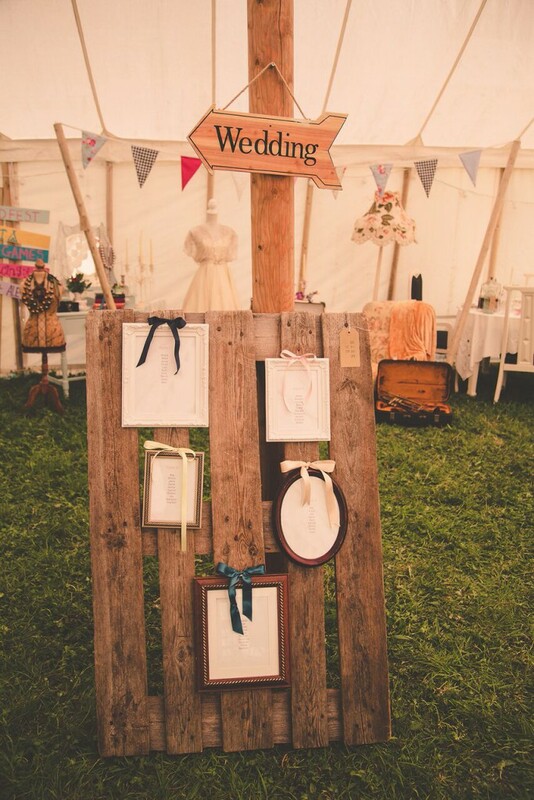 Shabby chic tableware and festival weddings go hand in hand. 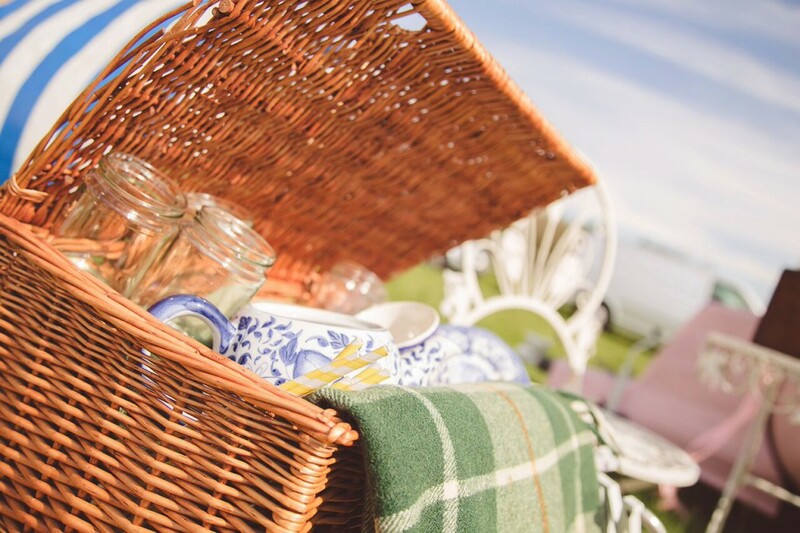 Display cutlery in pretty picnic baskets, put together artfully mismatched crockery, or collect used jam jars to serve drinks. 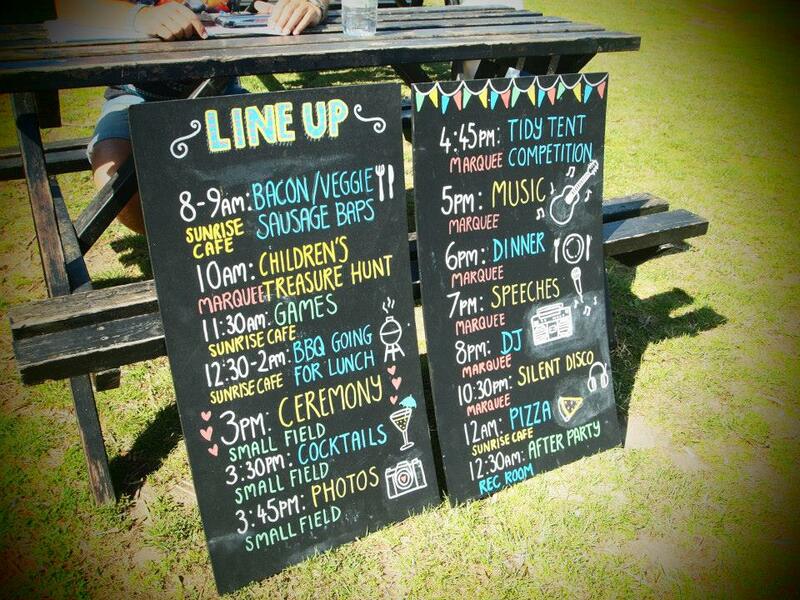 Rather than traditional menus, why not use chalk boards to let your guests know what’s on offer? Using your own handwriting adds a personal touch, and coloured chalk means you don’t have to stick with plain white. 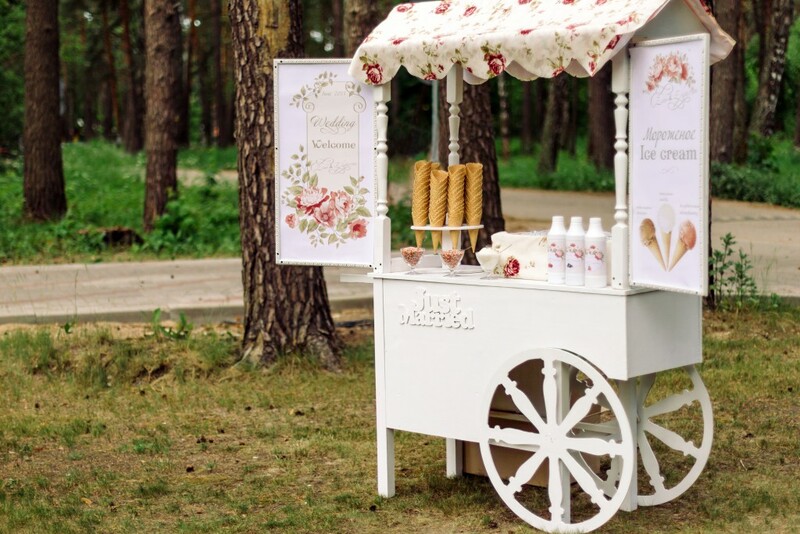 To complete your festival theme, hire an ice cream van or another food truck rather than serving a traditional meal. Instead of being limited to a seating plan, your guests can mingle and make friends with each other.